Tutubi's trip to Gubat, Sorsogon turned out unexpectedly fun-filled with yet again another unplanned trip to Lake Bulusan high up the mountains that enabled him see with his own eyes the green water of the lake formed out of a giant caldera with the still active Bulusan Volcano in the background. Bulusan Lake turned out to be very accesible from the town of Bulusan, Sorosogon via a relatively well-paved winding road that took about 30 minutes to navigate from the Bulusan town proper. Tutubi spent just a few minutes on the lakeshore after taking a few pictures of the lake itself and people frolicking, swimming and rafting on balsa made of bamboo (no kayaks or other water-sports here). There is a marked trail that invites adventurers, mountain bikers and curious tourists to trek around the lake with a circumference of about five kilometers where you'll encounter old growth forest, tall, possibly centuries-old trees, giant ferns, orchids, wildflowers and other endemic flora and fauna that'll surely delight biologists. Due to the usual lack of time, Tutubi wasn't able to walk around the lake and instead hopped back to their transport and return to Gubat via Irosin town. Look forward to hearing more about the green lake if you go again. that's a beautiful lake---the different shades of green are pleasing to the eye. too bad you weren't able to walk around and took pictures of the forest. this lake reminds me of the twin lakes in Valencia, Negros Oriental. I didn't know Lake Bulusan is easily accessible. This area should be kept as sylvan as it is now, hopefully. no kayaks ? sayang. The place looks lovely, pristine and ideal for kayaking ! It is my experience that spontaneous trips are the best ones. Ang ganda ng lake. I'm sure very popular yan. I was born in Dapdap, Bulusan, Sorsogon but I left my hometown when I graduated in the elementary grades to reside in Manila & Camarines Norte. For the past 30 years, I haven't visited the green lake. But I know that it was one of the world's best. Imagine a lake several thousand feet above sea level. When you take the road down to the town proper of Bulusan, you'll be amazed as you are actually overlooking the sea down below. Some foreign nationals even exclaimed that the green lake of Bulusan is the Switzerland of the Philippines. Hi! My friend and I are going to Donsol this week. 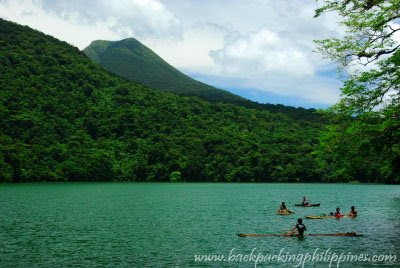 Is Bulusan Lake near Donsol? 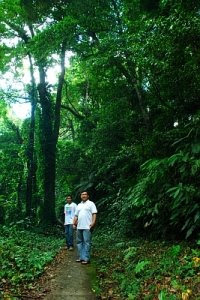 We are planning to go to Bulusan before heading back to Manila. Thanks.